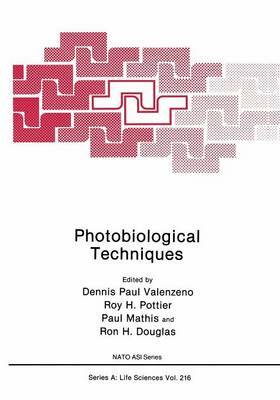 The fIrst edition of the Science 0/ Photobiology edited by Kendric C. Smith (plenum Press, 1977) was a comprehensive textbook of photobiology, devoting a chapter to each of the subdisciplines of the fIeld. At the end of many of these chapters there were brief descriptions of simple experiments that students could perform to demonstrate the principles discussed. In the succeeding years some photobiologists felt that a more complete publica- tion of experiments in photobiology would be a useful teaching tool. Thus, in the 1980s the American Society for Photobiology (ASP) attempted to produce a laboratory manual in photobiology. Cognizant of these efforts, Kendric Smith elected to publish the second edition of The Science o/Photobiology (1989) without experiments; anticipating the comple- tion of the ASP laboratory manual. Unfortunately, the initial ASP efforts met with limited success, and several years were to pass before a photobiology laboratory manual became a reality. One of the major stumbling blocks to production of an accurate and reliable laboratory manual was the requirement that the experiments be tested, not just by the author who is familiar with the techniques, but by students who may be quite new to photobiology. How could this be accomplished with limited resources? Many ideas were considered and discarded, before a workable solution was found. The catalyst that enabled the careful screening of all experiments in this book was a NATO Advanced Study Institute (ASI) devoted entirely to this purpose.